Pane relief – a tale of two glasshouses. Well, fourteen actually. My beloved wooden greenhouse, painted a dusty green called “Sargasso”, is not very big but it’s the biggest we could afford when we moved house. In fact we couldn’t afford to decorate the house proper because I spent so much money on the greenhouse. 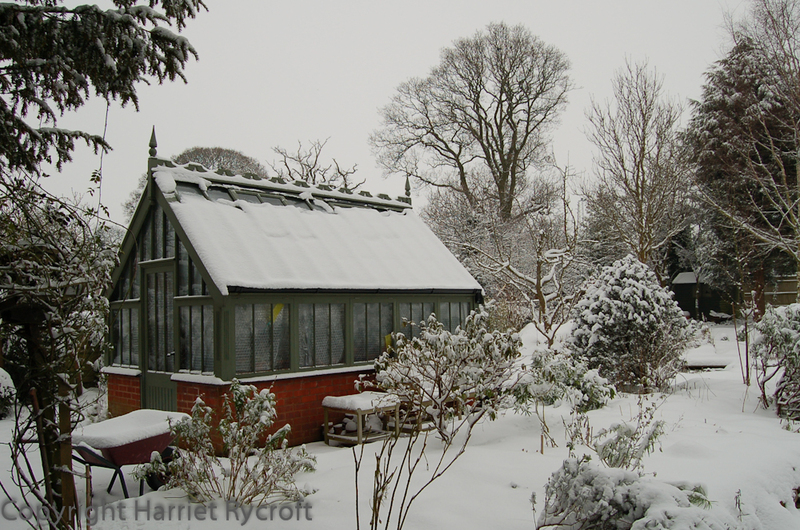 Our house is Victorian and the greenhouse dominates the garden, so it had to look good. That’s my excuse anyway. 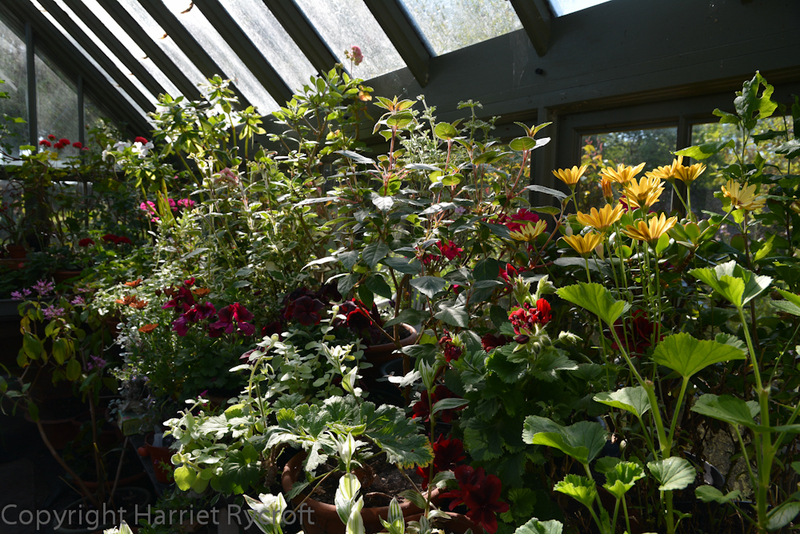 In my defence I must say that it is a well-used greenhouse, only at the height of summer is it less than jam-packed. I have a weakness for tender perennials and love propagating, so it has a heated bench, a light and a little heater which keeps it just frost-free in the winter. It has downpipes built in at one end, so that the gutters empty straight into water butts, which sadly aren’t lovely old barrels but old dustbins. They let the side down rather. I also have to tie a cotton thread between the finials to stop the wood pigeons from sitting on the ridge and crapping down the glass. 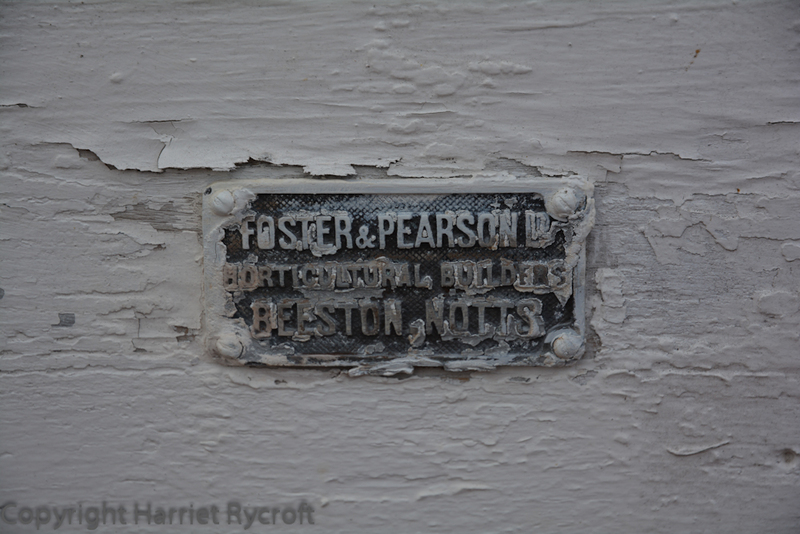 I’ve had it for nearly 12 years now, the outside has been completely repainted once, I treat the wooden sills most years and last year it had a few bits of rotten woodwork replaced. 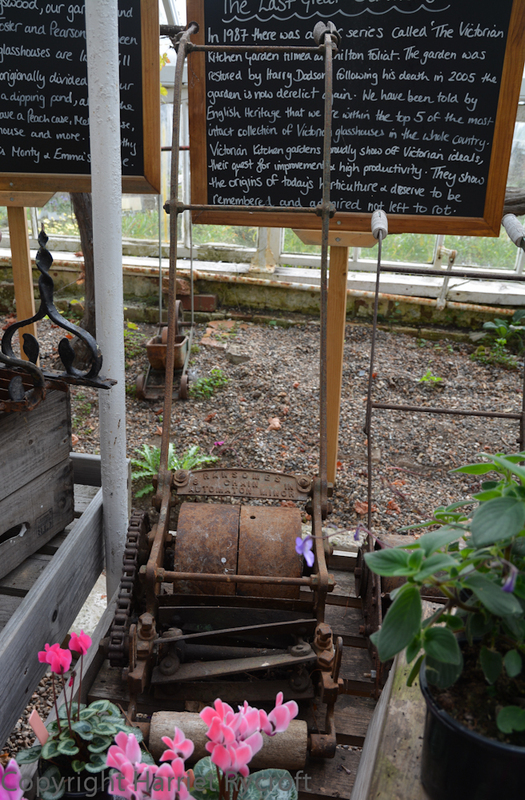 Mr Grace and young Mr Grace, who built it, were very complimentary about the fact that it is well-used and relatively well looked-after, it must be very upsetting for them to see one of their creations peeling, down-at-heel and used for storing bicycles and garden furniture. This really does happen! It isn’t cheap to maintain either. I’m a coward about climbing up to paint it so I get someone in and it’ll probably need doing again this year. The glass is expensive to replace, especially the lovely glass on the roof, the curved lower edges of which send the drips down the centre of the glass instead of along the wooden struts. I’ve never seen my eldest son look so frightened as he did 10 years ago when he had to own up to breaking one of those panes with a faulty boomerang. My little greenhouse gives me great pleasure, but also seems like a major responsibility. 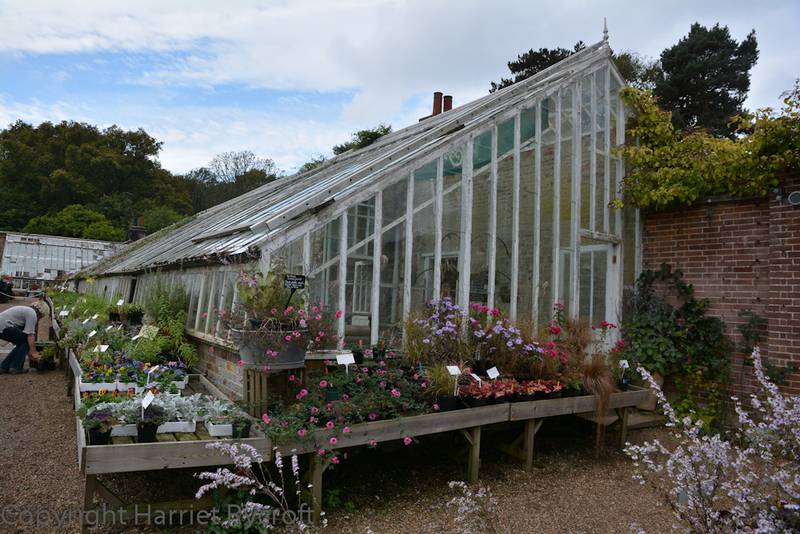 The Walled Nursery in Hawkhurst, Kent knocks my tiddly greenhouse into a cocked hat. 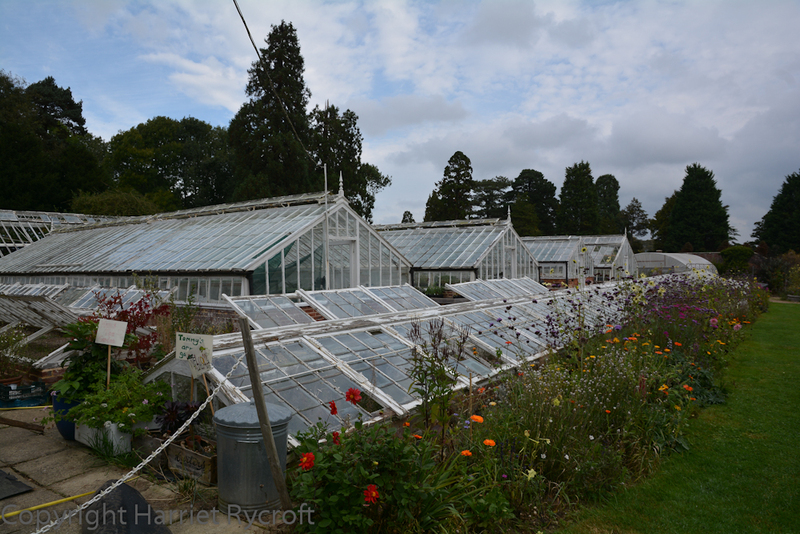 So many beautiful glasshouses, the most complete Victorian/turn of the century set I have ever seen. Grade II listed and absolutely astonishing. They were built by Foster and Pearson and include a melon house, a peach case, a fern house, a vinery, a carnation house… No wonder Emma and Monty Davies fell in love with it years ago and half-jokingly said to the owners “If you ever think of selling up…” Now they live in the old gardeners’ bothy against the walls of the garden with their two young sons and the place has taken over their lives. Much as I love glasshouses and historically redolent gardens I would never have had the nerve to make that move – but I can see why they did. I “met” Emma on Twitter, and her love for the place was palpable even via 140 characters, so when Chris and I ventured from the Cotswolds last year to the Great Dixter plant sale I made sure we had enough time to drop in at The Walled Nursery, which is practically next door. Chris likes Victorian architecture, so it was no hardship, and we were so warmly welcomed it was like visiting old friends. 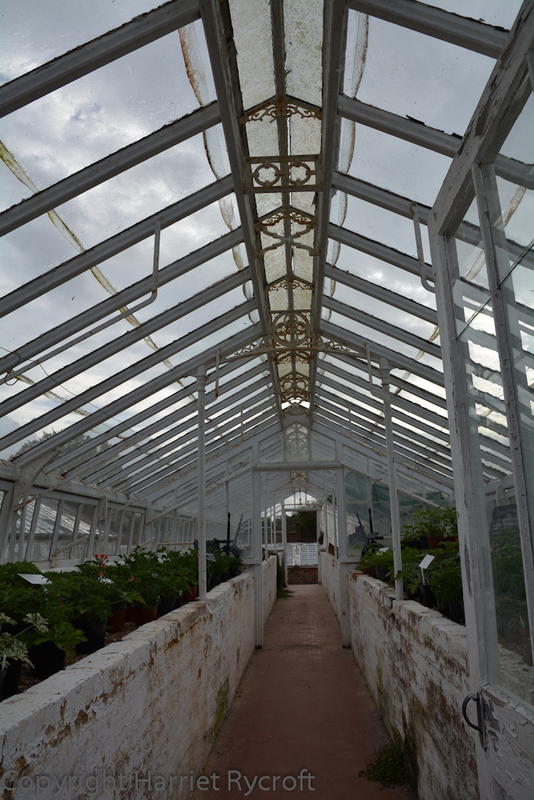 Inside one of the glasshouses. They are used where possible. 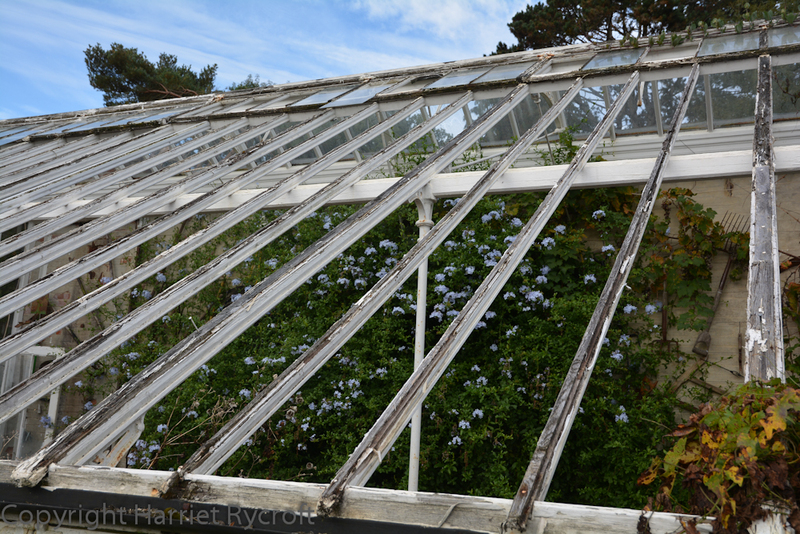 There’s nothing horticulturally sadder than a decrepit, under-used glasshouse. Funnily enough, although these buildings are in desperate need of repair and on windy nights Monty and Emma lie awake listening for the sound of crashing glass, the place didn’t make me feel sad. I felt wistful, yes, envious, maybe, but I could see that the usable bits were being used (and with great flair) and the overall feeling it gave me was one of excitement at the huge potential of this place. It is charming now, but it could be fabulous. Emma and Monty are showing no signs of panic but there is a sense of urgency – it is a race against time. Monty is making repairs as fast as he can and Emma is dividing her days between fiendishly complex grant applications and running the nursery, including an imaginative and lively programme of events. The little café is popular and they have plans to make a restaurant, which would help to make the place self-supporting, even though the focus will always be on plants. What this place needs really is a big wodge of cash. Monty and Emma aren’t dreamers, they are proper horticulturalists with realistic expectations and I am certain that they will succeed in turning the place around but the sooner they can do it the less painful (paneful?) it will be. A kindly multi-millionaire with a fondness for Victoriana would be a great help but in the meantime we can all help by visiting the nursery, spending money there or donating – and if you follow this link you can vote for them in The English Garden Magazine’s Future Fund competition. If they win they will receive nearly £5,000 towards repairing the Carnation House. Please do so, it’ll give them moral as well as financial support. Here’s a link to the Walled Nursery’s really informative website. 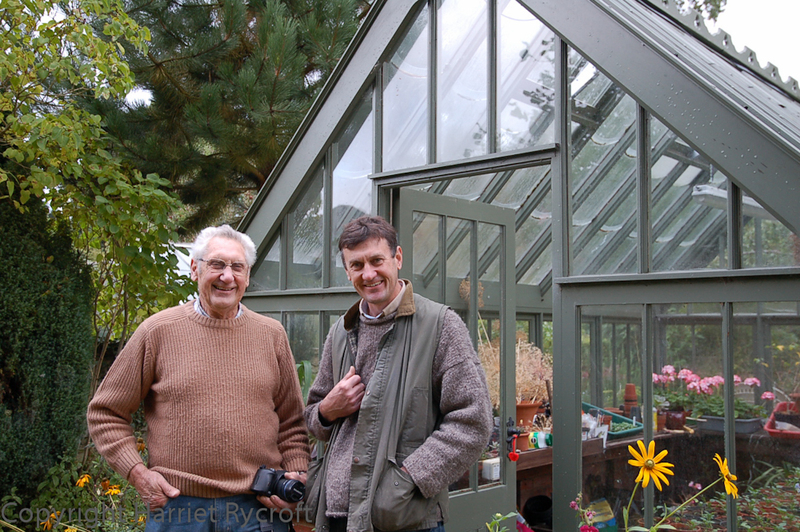 And here are WG Grace and Son, the builders of my greenhouse. Found this wonderfull step back in time two years ago. I live in the west country and sadly have not been in the area since but keep up with their progress via email. I feel amazingly fond of the walled garden, it has a magical feel to it. I wish them so much luck. Funny, isn’t it, you can tell immediately that it’s a very special place. It would be terrible if it was allowed to fall apart. 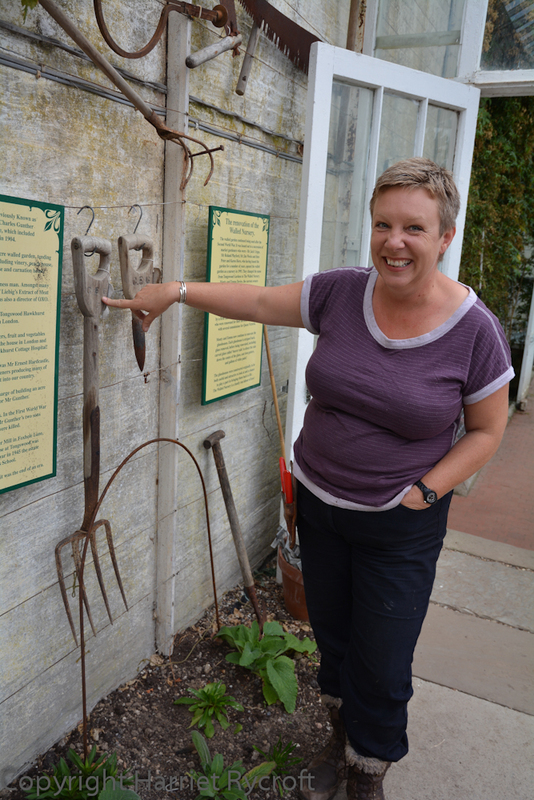 Good luck Angus and Zara, it’s so good to hear of people who are working to keep our horticultural heritage going.